earlier today, I decided to watch the first episode. Set in the 1930s, the show opens with a staff of three dozen maids, footmen and cooks preparing the Abby before the family wake. It’s a quintessential portrayal of upper class British life at the time. 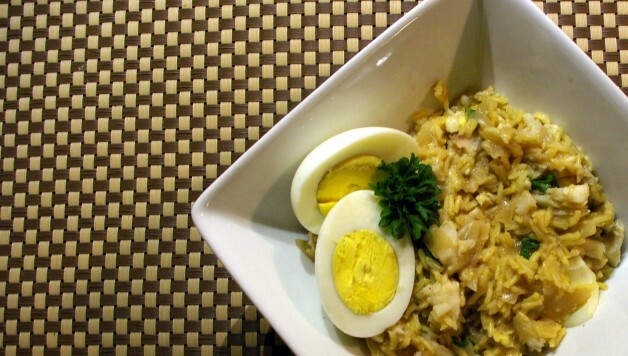 For breakfast, the cook rushes to put the finishing touches to a fresh pot of kedgeree before the newspapers arrive and break the news of the Titanic’s sinking and the household is thrown in to mourning. 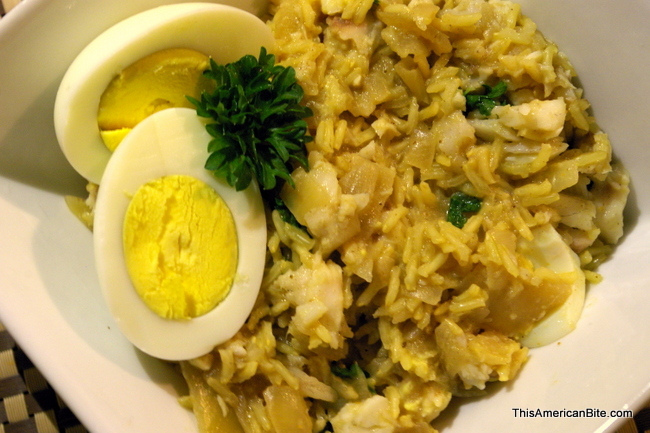 I can’t remember the last time I thought about kedgeree, let alone ate it, but I recall it being an occasional dinner dish when I was growing up. 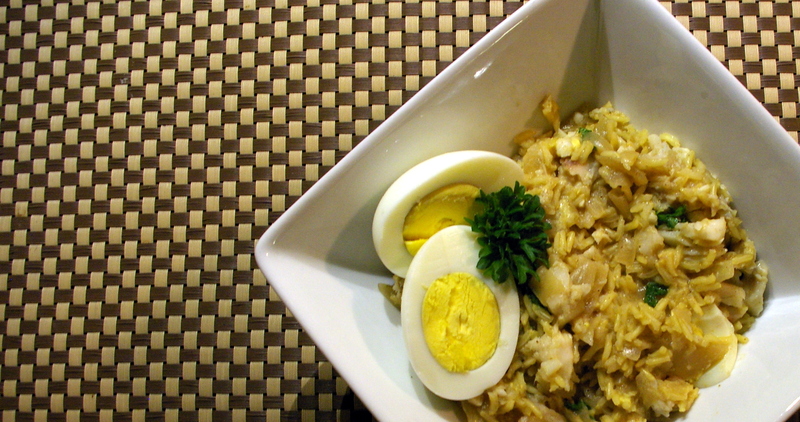 Kedgeree’s historical origins date back to the 1300s as an Indian rice dish. In more recent history, it was popular in Scotland in the days before refrigeration as a way to re-purpose leftovers for the next day and incorporated smoked fish. There are a number of ways to make this dish and the end result is a creamy, flavor rich dish perfect next time you are hosting a British themed brunch. Start by dicing the onion and put it in a large bowl or a zip-top bag. Drizzle some olive oil on the onions then sprinkle the curry powder, ginger, cumin, coriander and turmeric over the onions. Mix so the onions are covered with the spices and set aside. We’ll come back to the onions later. Before moving on to the fish, put three eggs on to boil. ). Let the fish sit while the oven heats. If you choose to use a smoked fish, you can skip this step. 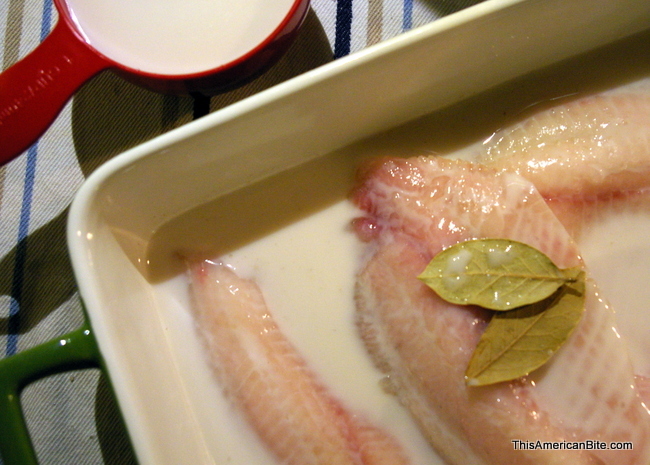 Put the fish in an oven-safe dish and cover with two cups of almond milk. Put the fish in the oven for 15 minutes to poach in the almond milk. Don’t forget about those eggs ifs they are still boiling. By now, you could likely remove them from the water and put your eggs in ice-water to cool. While the fish is cooking, put one tablespoon of margarine in a pot over a medium heat. Add two tablespoons of olive oil, this will prevent the margarine from burning. Once the margarine has melted, add the onions to the pot and let them cook until they are transparent and aromatic. 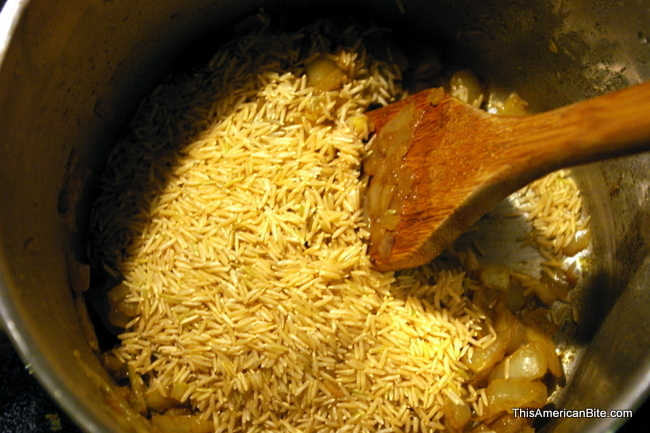 Add 1 cup of basmati rice, mix with the onion and allow the rice and onions to sit on the heat for two to three minutes. Remove the poached fish from the oven. Pour two cups of almond milk from the fish dish into the rice, then add one cup of water. Cook gently for fifteen minutes or until most of the water has been absorbed. Once the rice has finished cooking, remove the lid and lay a clean dish towel over the pot, then cover again with the lid and let the rice sit for five to ten more minutes with the heat off. This will absorb any remaining moisture from the rice. 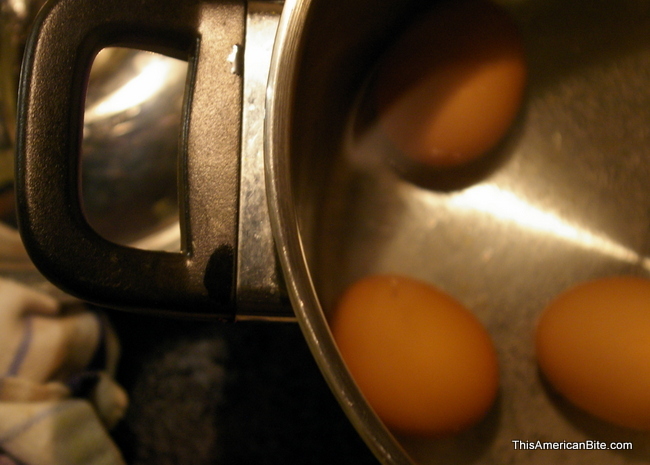 Using two forks, separate the fish into bite-sized pieces and dice the hard boiled eggs. It will come apart very easily. Add the fish and eggs to the rice and add a dash of tamari sauce. Fold the ingredients together and allow to sit for five to ten minutes to allow the flavors to marry. Serve hot with parsley to garnish. I made this dish today and pan to serve it for dinner tomorrow night, so I will be re-heating over a low light in a pot and will use a little more almond milk so it doesn’t burn. This dish certainly takes “fusion” to a new level with it’s India meets Scotland approach to breakfast, lunch or dinner!